Join DC Systems at DTECH 2019! The DC Systems team just returned from #Distributech19, where we joined thousands of industry professionals working to empower the next generation of energy infrastructure. DC Systems has been a part of the DistribuTECH community from the very fist event (then called DA/DSM Distribution Automation/Demand Side Management), and each year we gain the opportunity to see how the utility space is evolving with technologies that address increasing challenges in ensuring an abundance of electricity and resilience of the grid. While making new friends and connecting with existing partners, we launched a new “BEST OF” category at DTECH! Yes. 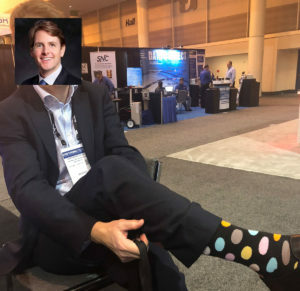 We’re talking best socks, which went to Jonathan McClelland @reliabilityShow. We salute you Jonathan! Like the updated photo? What were the top themes at DTECH? We witnessed the increased influence of convergent technologies being brought to the utility space – augmented reality, drone technology, and other virtual technologies allowing operators to envision and address greater need for security and uptime of operations, and the impacts of environmental risk like wildfires that threaten safety for stakeholders and investors alike. To that end, DC Systems was proud to announce our new software product, Watchtower, during the conference, which addresses the need for safety and security with real-time automated control of energy systems in a natural disaster. A sincere thanks to Electric Light & Power for covering our news! We are also seeing increased complexity and demands of grids, whether through emerging inputs like electric vehicles, which stand to add an estimated 30% load on utilities in the coming years, to Big Data, with more and smarter devices being added to the infrastructure, requiring intelligent systems that can make sense of this explosion of information. And we noted the importance of ensuring that operators have the tools to make sense of dynamic grid conditions and can make intelligent management decisions in real time. Here again, DC Systems was able to add to the conversation with our Data Virtualization products, that bring together, synthesize, and simplify information so that operators can make sense of this burden of information and turn it into an operational advantage for faster, more reliable, and more expansive energy services. Distributech ’19 was once again a true coming together of the industry’s best and brightest, on the bleeding edge of technology innovation. A special shout out to everyone who came out for drinks at our booth during 5 o’clock Somewhere, and we’ve got some exciting news up our sleeve so please stay tuned to the announcements coming in the next few weeks! What were your takeaways of the event this year? Drop us a note, we’d love to hear from you. 2019 is a huge year for us at DC Systems. We're looking forward to sharing new partnerships, products and launches ahead in the year to come. Come see us at booth #11921 at in New Orleans, Feb 5-7th, 2019! 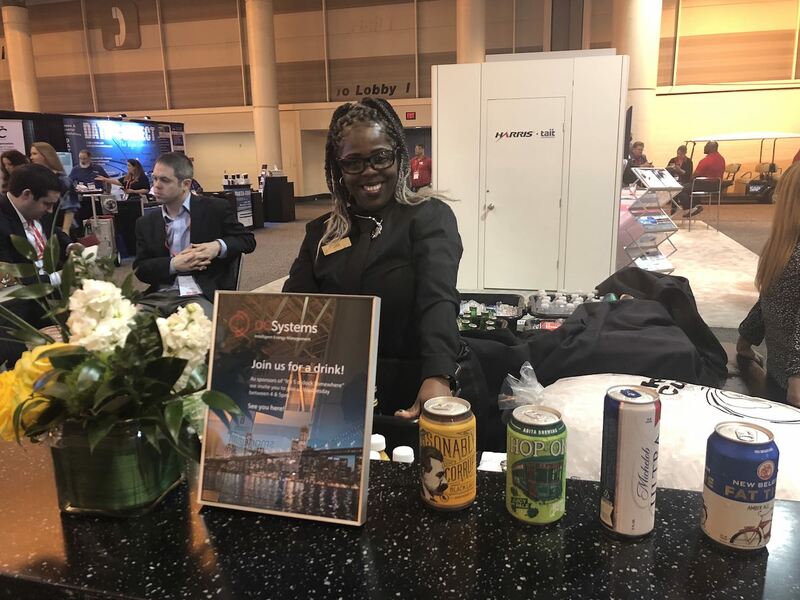 DC Systems is proud to be a hosting sponsor of "It's 5'oclock Somewhere" on the trade-show floor, so swing by Wed, Feb 6th between 4 & 5 and we'll buy you a drink! We’re introducing WatchTower (WT), a new product developed in response to Western wildfires that gives energy managers automated, real-time system control during weather emergencies. This product has already gained initial customers and is in the process of being rolled-out into the market. One of the best parts about checking in with DC Systems at DTECH is the team! Our developers and engineers will be on hand to give demos, answer questions, and discuss your specific needs. DC Systems delivers the leading real-time intelligence platform that brings together complex energy data, renewables, grid software and controls in a way that makes sense. Our open enterprise system connects, manages, and controls energy at every point of the grid.